Over 80 countries are planning a DevFest this year! Our GDG community is very excited as they aim to connect with 100,000 developers at 500 DevFests around the world to learn, share and build new things. 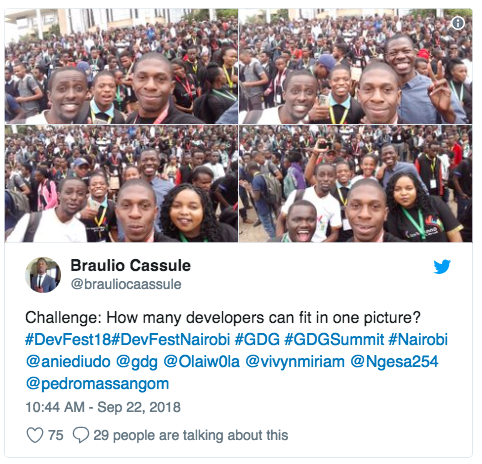 Most recently, GDG Nairobi hosted the largest developer festival in Kenya. 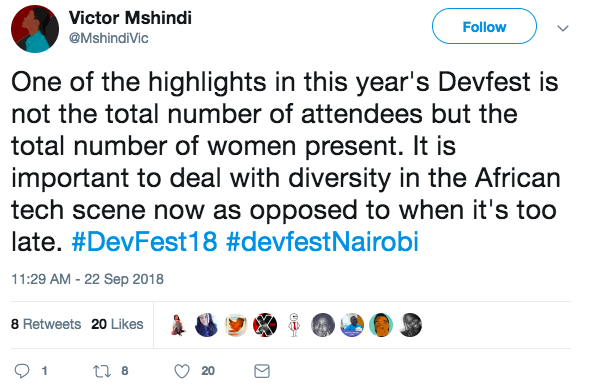 On September 22nd, DevFest Nairobi engaged 1,200+ developers, from 26+ African countries, with 37% women in attendance! 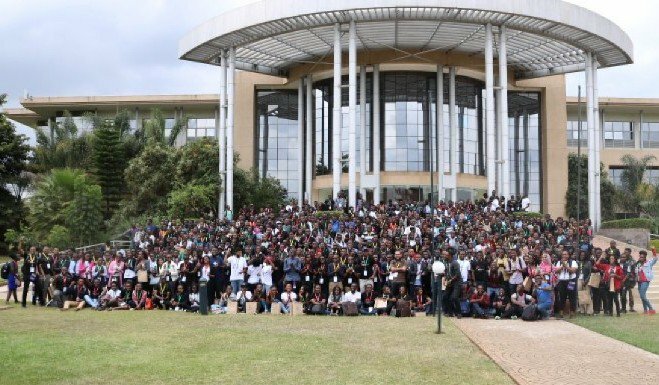 They had 44 sessions, 4 tracks and 11 codelabs facilitated by 5 GDEs (Google Developer Experts) among other notable speakers. 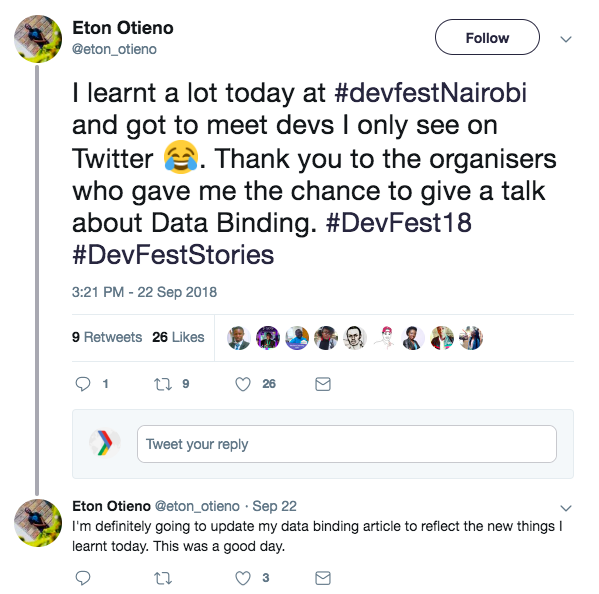 The energy was so great, #DevFestNairobi was trending on Twitter that day! 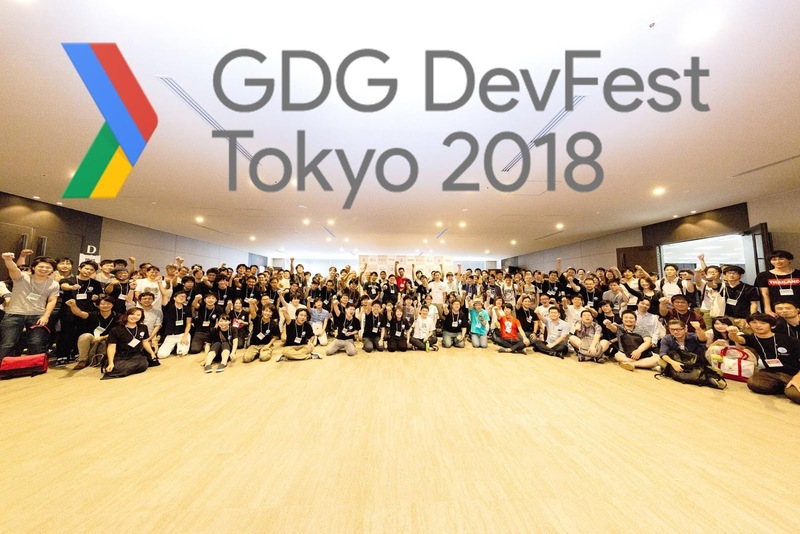 GDG Tokyo held their third annual DevFest this year on September 1st, engaging with over 1,000 developers! 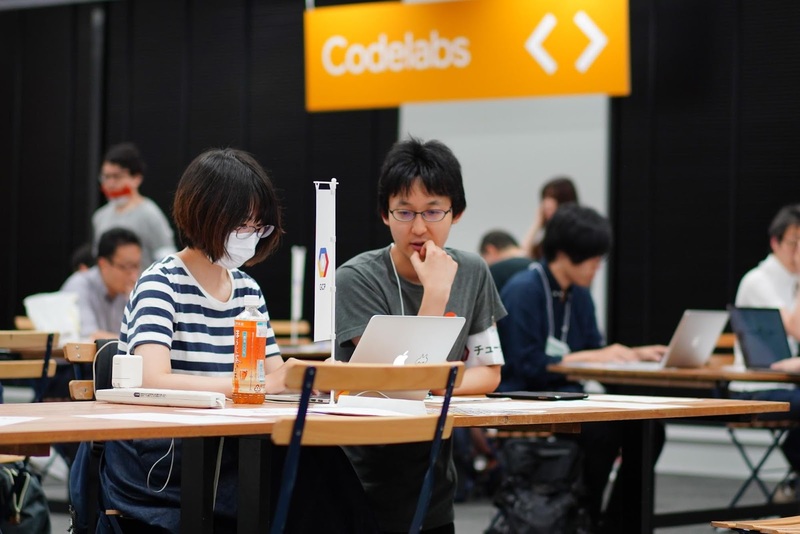 GDG Tokyo hosted 42 sessions, 6 tracks and 35 codelabs by partnering with 14 communities specializing in technology including 3 women-led communities (DroidGirls, GTUG Girls, and XR Jyoshibu). 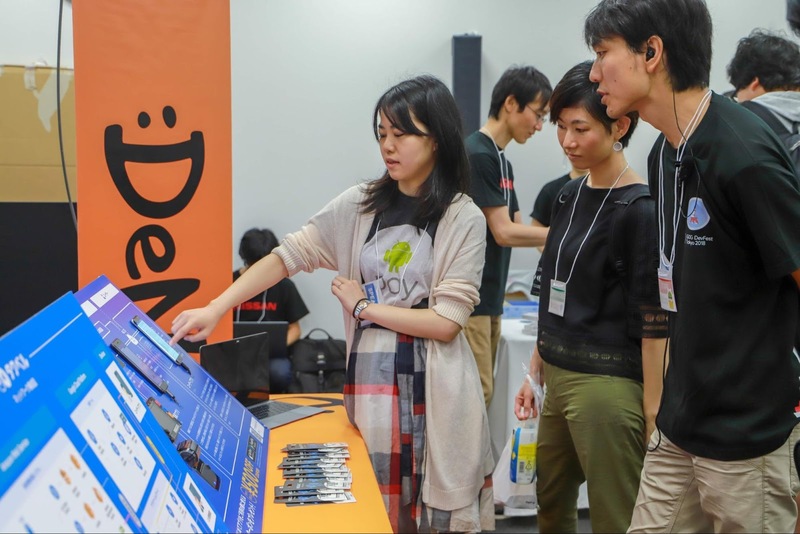 Our community is interested in hearing about what you learned at DevFest. 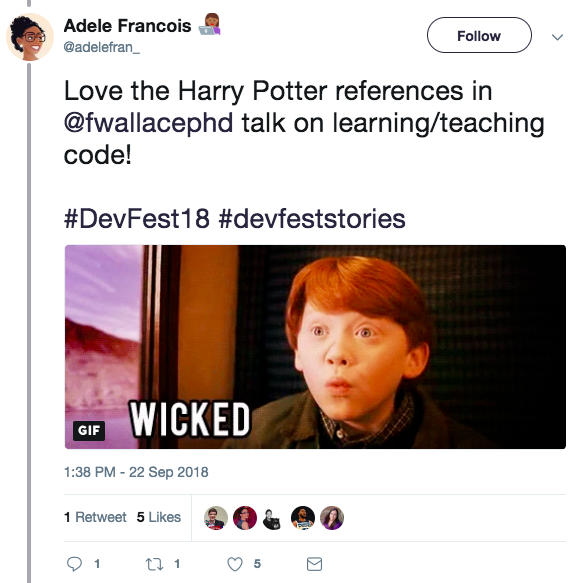 Use #DevFestStories and #DevFest18 on social media. 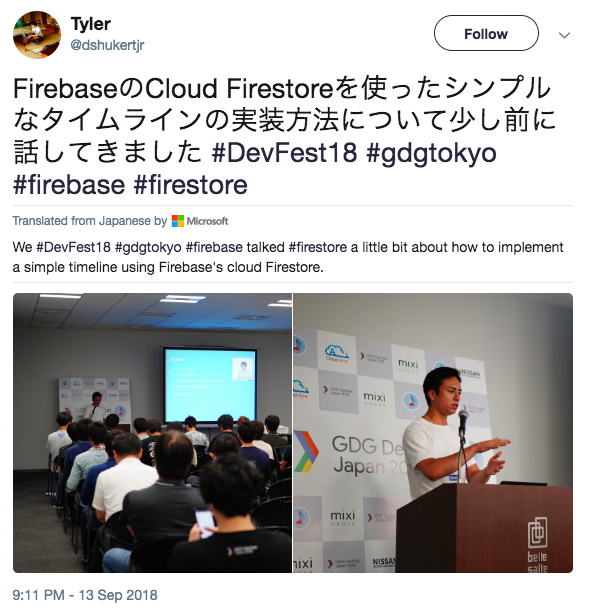 We would love to re-share some of your stories here on the Google Developers blog and Twitter! Check out a few great examples below.